Both Bratt and Jakes ran in the GP2 Asia series during the winter but neither made the transition into the main championship as it supports Formula One during its European season. Rees was among the front-runners in Formula Palmer Audi in 2009 and has also had success during the winter as part of the ‘Loose Cannons’ charity kart racing team. Just as last year, Jakes ran in a limited number of races for Super Nova, once again earning a podium but no regular drive. Bratt’s GP2 Asia seat with Coloni was his prize for winning the Euroseries 3000 championship last year, but the team was only competitive when it fielded veteran Alvaro Parente. Now the Leeds-born Jakes is listed on the GP3 Series website as one of Yorkshire team Manor’s drivers, bringing him back to the outfit with which he finished fifth in the 2007 F3 Euroseries championship. A carrot being offered by Manor is a test with the Virgin F1 team for its top GP3 driver. 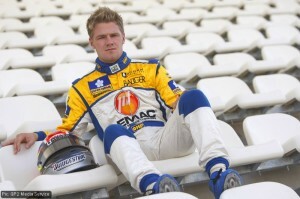 And 21-year-old Bratt said on his Twitter stream that he had chosen F2 after “weighing up options for 2010”. Like many of this year’s entrants, the prize of a test with the William F1 team proved a strong incentive. 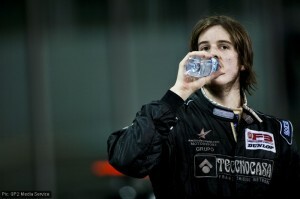 He said: “I’m really excited about the prospect of driving a Formula Two car. It’s one of the most high-profile and best-promoted championships on the international stage, plus it’s designed to produce a truly level playing field so the onus is on driving talent. Unlike Bratt, Rees took part in winter testing with the series but the son of ex-F2 and Formula One driver Alan found himself slowest across the two days in Portimao. Nevertheless, he said he was thrilled to be racing in the series: “I was really impressed with the F2 car during testing – there is a lot of power, good balance and a great gearbox. My father Alan Rees was a very successful Formula Two driver and it’s a good feeling to be the next generation racing under the same name. Series boss Jonathan Palmer said: “I have known Paul’s father Alan since Arrows made me my first F1 offer for 1982 and it’s lovely to have such F1 luminaries as Alan and Debbie Rees as part of the F2 family. “Paul has completed two seasons of FPA, becoming increasingly competitive, and was leading at a final Snetterton race until suffering a slow puncture – he is certainly ready to move up now. “I first came across Will when he raced in Formula Palmer Audi and he was extremely quick – scoring a podium on his maiden weekend. It was clear to me then that he had real talent. It is great to see him progress from Euro 3000 to a major international championship like Formula Two. 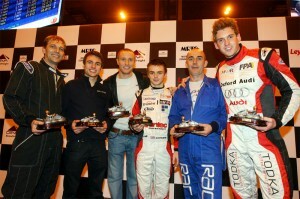 Categorised under F2, GP3, tagged under Formula Two, GP3, James Jakes, Paul Rees, Will Bratt. « Can Motorsport Valley produce the world’s greenest car?